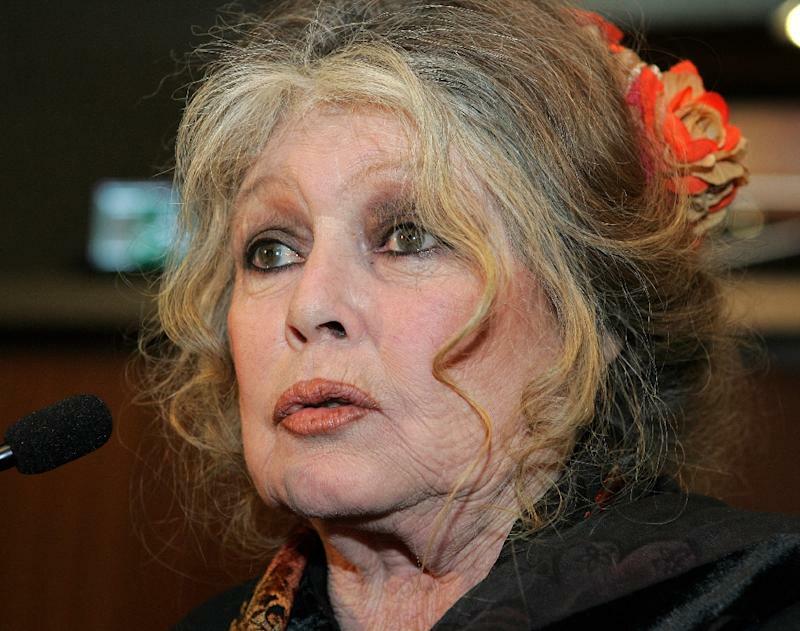 Paris (AFP) - The veteran French actress Brigitte Bardot sparked an outcry Tuesday by branding the population of the French Indian Ocean island of Reunion as "degenerate savages". "The natives have kept their savage genes," the animal rights campaigner wrote in an open letter attacking the islanders for their treatment of animals. The 84-year-old, who has been convicted five times for inciting racial hatred -- mostly for attacking Muslims -- took aim at the island's Hindu Tamil population for sacrificing goats. Bardot, who shot to fame in the 1956 film "...And God Created Woman", evoked the "cannibalism of past centuries" as she lashed "a degenerate population still soaked in barbarous ancestral traditions". In a rambling attack, the star labelled Reunion, whose population has mixed African, South Asian, European and Chinese heritage, as a "demonic isle" for its treatment of cats and dogs. She singled out "Indian Tamil festivals" for particular invective, claiming the faithful "decapitate goats and offer them to their gods, then throw their entrails into the sea which attracts sharks." The island has made headlines in recent years for a spate of fatal shark attacks. Goats and chickens are sacrificed by some Tamils on the island during one festival, with protesters saying the practice should be banned. Bardot, a friend of the former French far-right leader Jean-Marie Le Pen, has frequently attacked France's Jewish and Muslim populations over kosher and halal ritual slaughter. Her rant against Reunion drew an angry response from islanders on social media, with the French Minister for Overseas Territories Annick Girardin condemning it as racist. She said a charge would be brought by the state if the "letter is real. Everyday racism has not place in public debate," she added on Twitter. Bardot's foundation confirmed to AFP that the actress had written the letter.